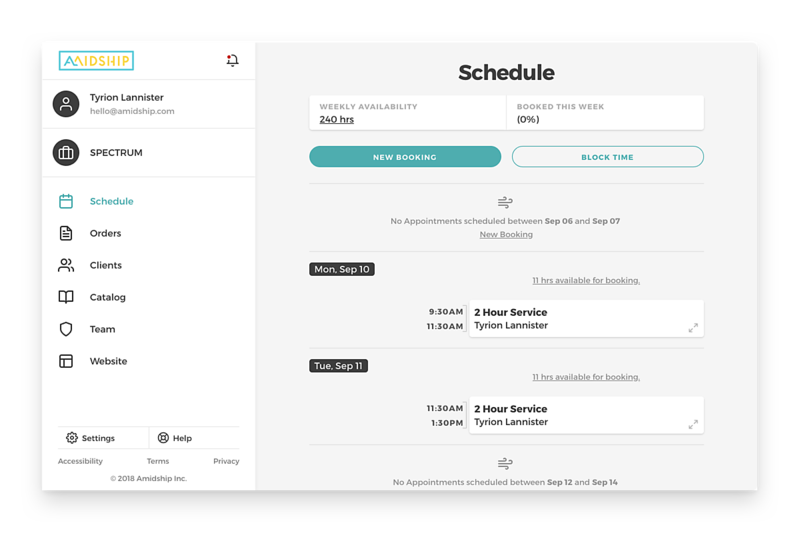 Amidship takes the stress out of scheduling for both you and your clients. Spend less time scheduling, and more time doing what you love. Upgrade your business from pen and paper. 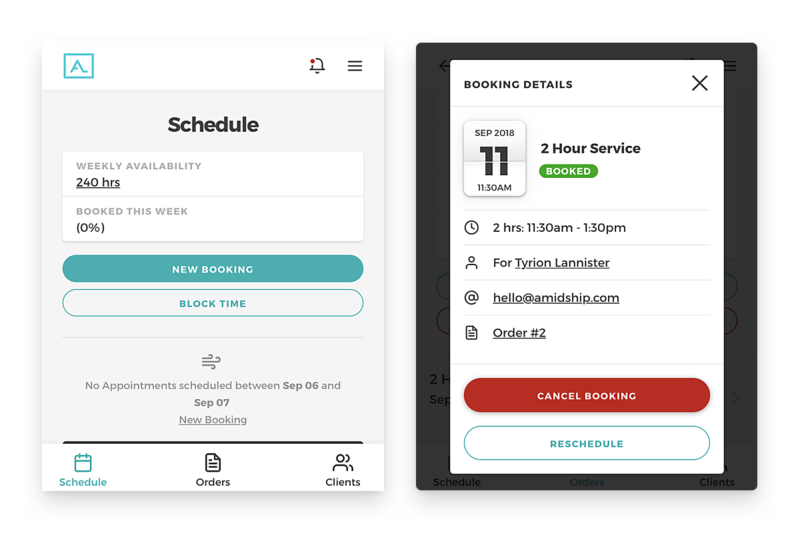 With Amidship, you’ll have a powerful online calendar where you can manage all your bookings on-the-go. Give your clients the added convenience of online booking. 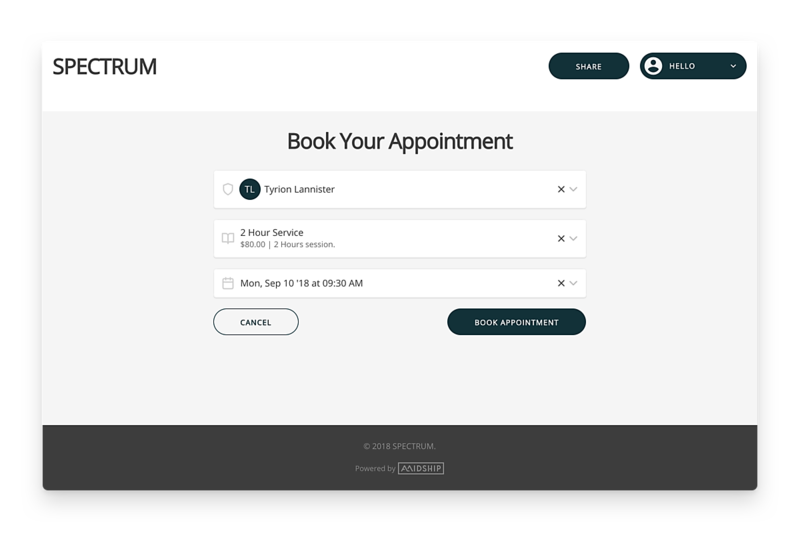 Let them book and manage their own appointments online through your client portal. 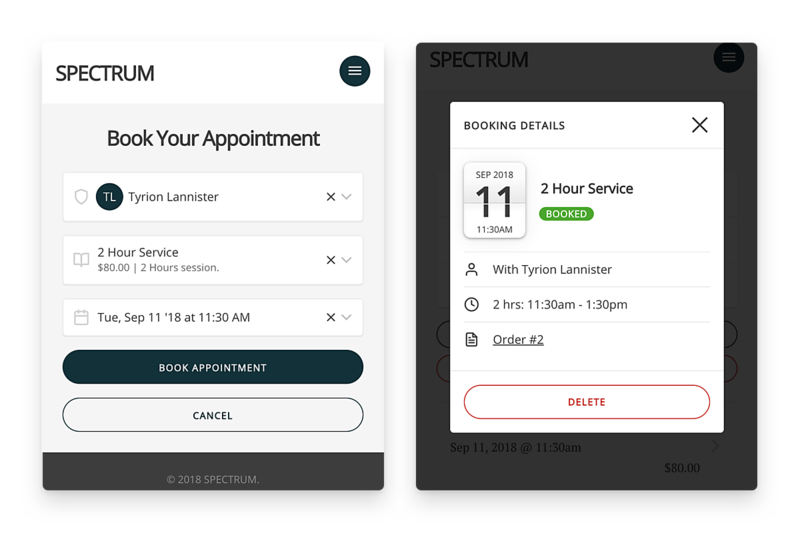 Save time by setting up automated appointments for your repeat clients. Simply schedule them once and let Amidship do the rest. Amidship integrates with your Google calendar to keep your availability updated. Plus, you can easily edit your availability and block time off to avoid booking conflicts. 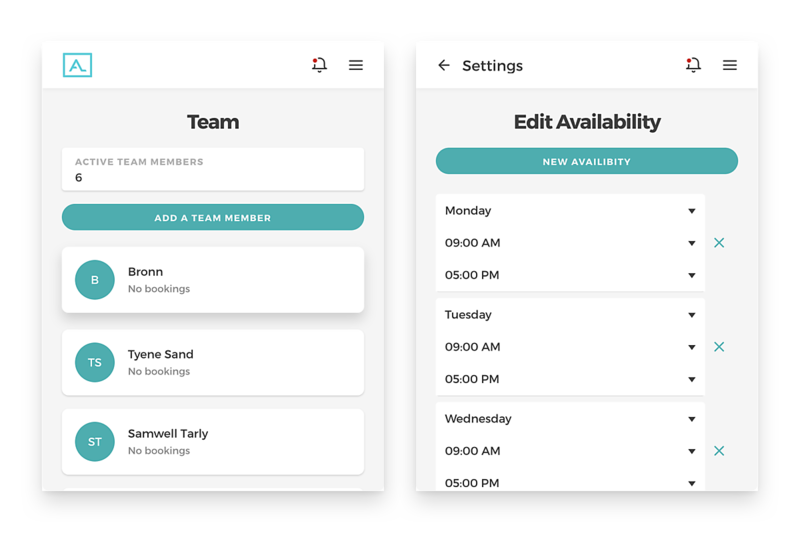 Amidship keeps up with your scheduling needs - even as your team grows. Manage your whole team's appointments from your account.